Rolls-Royce has announced the addition of three larger stainless steel Kamewa waterjets to their product range: the S71, S80 and S90. 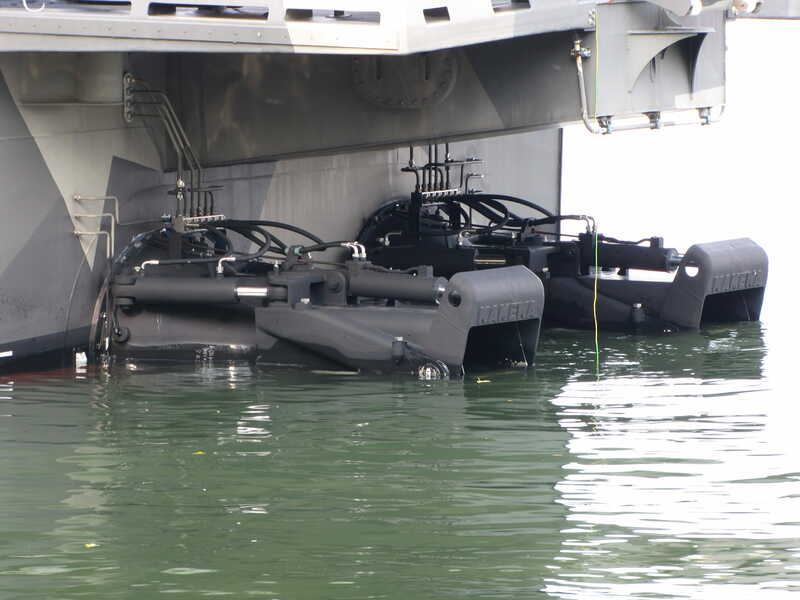 The new waterjets are designed for use in bigger (30m+) vessels and completes the larger steel-series size range. With fewer components, the new range is said to be easier to install reducing the time and specialist skills required to fit them with consequent reductions in vessel build time and cost. The waterjets are supplied with an entire inlet, including main hydraulics, valves and even factory calibrated electronics where necessary. The pump technology uses proven waterjet technology. The whole package is pre-built and tested at the company’s Kokkola factory. The Kamewa steel series allows the flexible use of aluminum, steel or composite materials meaning the main range inlet material, shape and pump type can be selected from different alternatives to meet optimal hull installation and super lightweight constructions. Combining composite materials in transom flange and inlet tube provides further benefits by means of weight, cost and corrosion resistance. The use of Marine grade aluminum plate in constructing part of the inlet means it can be easily installed using bolts or welds on any vessel type. Minimised tip clearance and outside thrust bearing allows for maximal efficiency without any compromises, reducing fuel consumption significantly and lowering emissions. The new product range has a longer mean time between overhauls (MTBO) – 15000h or 5 years – than competing installations, with an option for a further extended warranty period.